LaLa Little Lovebird: The Liebster Award! I was tagged a little while ago by Stephanie at Heart Soul Inspiration for the Liebster Award! I'm so excited this is the first time I've ever been tagged for something. So thank you Stephanie! Also I'm sorry about just now getting it up but better late then never right? Answer the questions that the nominator set for you plus create 11 questions for the people you’ve nominated to answer. 1. I'm going to college and am currently majoring in graphic design but I don't like coding so I'm going to be switching over to digital photography. 2. Most people don't realise it but I actually wear glasses, but whenever I am out and about I almost always wear contacts. 3. I still play pokemon, and I have since yellow version. The third generation is my favorite. 4. I guess you can say that I've only had one real boyfriend, and broke up with him after only dating for six months. 5. I love making new friends, that is one of the main reasons I wanted to get into blogging. I loved the community. 6. I consider myself a gamer but I'm not a well rounded one. I mostly just stick to handheld games such as the ds. But console wise I've personally owned a gameboy color, game boy advanced, gba sp, ds, dsi, and now 3ds. Me and my family also share a wii and ps2. 7. My dream job would just be to sit at home and make things all day to sell. I don't know what I'd make but I really enjoy getting to make things with my hands. 8. I love nature, I used to (and still kind of do) wish that one day I'd live in a small cabin out in the woods in the middle of no where. 9. That being said I'd love to surround myself with plants in the house but I have an anti-green thumb. The only plant I have right now that has survived me for over a year is some lucky bamboo. Actually it is only one stalk out of the three that were tied together that has survived. 10. I love animals, and I love having pets. Currently I only own two my lovebird and my turtle, and then the dogs are the family's. But when I get to wanting a new pet I research it like mad. I become a tiny bit obsessive about it. Same goes with anything new I decide I like. 1. If you could live in any time period which would you choose to live in and why? I'm going to take the easy way out with this question and say this time period. Though I do love other time periods I'm sure they all have their setbacks and besides I love videogames, movies, and the internet way too much to give it up. 2. Who or what is your biggest inspiration? I think I mentioned this before in a previous post but it's definitely my mom. She is incredibly strong and kind and patient and a total goofball. She's my hero. 3. You just won $2 Million in the lottery…. What are you going to do with the money? I'll be kind of boring here. I'd pay off school loans, get a car, and get a house. Then whatever is left into savings. I know it's not very creative but it would get me where I want to be in life. I don't really have one favorite quote, just a couple I like alot. The one in the footer of my page is one of those. Another one that I like alot was one I had seen on a magazine ad: "Smart thinks with the head. Stupid thinks with the heart. Be stupid." 5. Do you like sunny days or rainy days more? Whereas I do like rainy days I think it's safe to say I like sunny days more. But I like sunny days where it's not too hot, I like it when there it's kind of chilly and there is a nice breeze and it's not ridiculously humid. Then you get those nice warm patches in your house where the sunlight comes through the windows. 6. What is your favorite holiday and why? Christmas, hands down. Family, warm houses, yummy food, of course presents, and happy feelings all around. It's just a very happy and cheerful time for everyone. 7. What has been the most memorable moment in your life so far? I don't really have a good very memorable moment in my life so far. I had a friend basically tell/call me some pretty terrible things and say that I was a terrible person and never supported her. At the time she had been my best friend and was just incredibly hurtful. It really made a change in my life and I realized who my actual friends were. But after being best friends for six years it was really weird to just stop talking to her. A few years after her saying those things we have begun talk and hang out again. We've let things go and are becoming close again. It really makes me happy to have things turn around for the better. 8. Post a picture of where you’re from and tell us a little about it. I'm not currently going to post a picture. I don't really have one of the town and I'm not completely comfortable sharing exactly where I live. But I will say I live in Ohio, in a town nicknamed cowtown. To give an example of the kind of place it is I'll just let you know that the highschool has a drive your tractor to school day, and when it happens you know because the entire street is lined by tractors. 9. You get to pick where you want to eat. Where is it and what kind of food is served? Well since I don't get to go get it unless I'm with the girls (and that rarely happens) I'd have to say A1 and getting some sushi. I'm kind of a sushi noob but I really can't get enough. 10. List 3 things in your life that mean everything to you. Number 2: My best friend Dorri, she's been there for me through thick and thin. Number 3: The rest of the girls, I know I don't really get to hang out with them as much as I should but when I do I have the time of my life. 11. What do you love the most about blogging? I love the ability to meet new friends, I love the communtiy, and I like that years from now I'll look back at all my old posts and remember those fun times that I've shared. 1. What is your favorite blog? 2. Do you have any pets? If so what are they and what are their names? 5. What is your favorite part of the day? 7. If you had the ability to do whatever you want what would you do and why? 8. Are you an early bird or a night owl? 9. What is your favorite time of year and why? 10. What is something you are the most proud of? I know technically the awarded nominees should have less than like 200 followers, but I don't follow eleven people who have under that many followers so my nominees are some of my favorite bloggers instead. Awww! I love your answers! Plus I learned some new things about you! You're a gamer, love Pokemon, wear glasses, and have had one real boyfriend..because Mr. Right is somewhere speaking a different language :P ... :) I'm so glad you did this! I'm glad I did it too! Mr. Right is definitely somewhere far away from here haha, I'll meet him eventually. Yeah I'm definitely pretty nerdy. Thank you again for nominating me for it! Aww thank you so much! 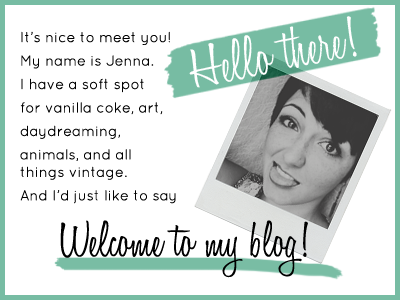 :) you and your blog are absolutely darling!!! You're most welcome and thank you so much for the compliment!